At Tri-City Chrysler Dodge Jeep Ram, it’s not just about buying a car. It’s about finding the right car for YOU. That means, we take the time to get to know you… your aesthetic preferences, your hobbies, and your driving habits. This is true regardless of whether you decide to lease or buy a new Chrysler, Dodge, Jeep, or RAM. For, whether you’re “together” two years or 20, Tri-City Chrysler Dodge Jeep Ram wants to make sure you never regret your decision. Of course, we pay just as special attention to used-car consumers, who flock to Tri-City Chrysler Dodge Jeep Ram from Kernersville, NC and Danville, VA, for our convenient location and stellar used cars near Greensboro that are really more “like-new” than they are “used”. We even have your new Chrysler, Dodge, Jeep, and RAM and used-car financing covered. And, our state-of-the-art auto repair center is more than capable of meeting all or your routine maintenance and auto repair needs (e.g., oil changes, tire rotations, and alignments). Want to do it yourself? We fully appreciates handy drivers. To help, we carry a comprehensive collection of manufacturer-certified parts (i.e., air filters, oil filters, tires, batteries, and more). And you know what Chrysler, Dodge, Jeep, and RAM certified parts means? Peace of mind. 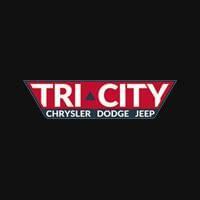 To learn more about Tri-City Chrysler Dodge Jeep Ram, please feel free to contact us online or by phone. Otherwise, visit us in person at 833 S Van Buren Road, Eden, North Carolina. We hope to have the pleasure of meeting you soon.